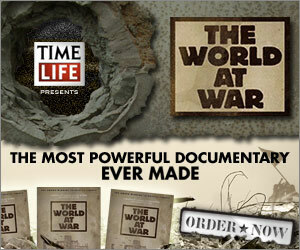 The ultimate visual history of World War II. From North Africa to Stalingrad, D-Day, Iwo Jima, and Japan. Experience hours of footage once deemed too shocking for the public eye. Unseen video collected from the archives of 18 nations. Includes bonus DVD! Order now and never look at WWII the same again.